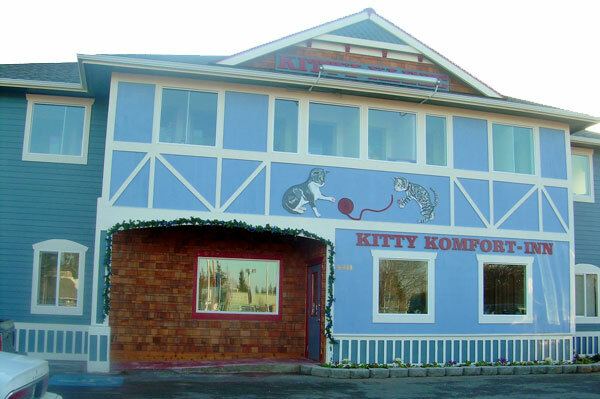 The Kitty Klinic veterinary hospital is located at 4411 Lacey Blvd SE, Lacey, WA 98503. From I-5 North: Take the Pacific Ave. exit and turn right at the stop. Proceed 4 lights North and go around the round-about - the clinic is immediately on the right after leaving the circle on Lacey Blvd (just after Golf Club Road). From I-5 South: Take the Martin Way exit and turn right at the stop. Take the first left on to College Street. Proceed 4 lights to Pacific Ave. Turn right on Pacific Ave, going around the round-about to Lacey Blvd - the clinic is immediately on the right after leaving the circle on Lacey Blvd (just after Golf Club Road). The clinic is located on a one-way street (Lacey Blvd) going North. The building is visible from the round-about. Please allow 20 minutes for check-in and check-out. The practice serves Thurston County, Kitsap County, Mason County, Lewis County, Pierce County and the South Sound area including, Olympia, Lacey, Tumwater, Tacoma, Centralia, Chehalis, Yelm, Lewis-McCord, Belfair, Rochester, Union, Rainier, Tenino, Sea-Tac, Gig-Harbor, Shelton, Union, Grapevine, Hoodsport and other local communities.